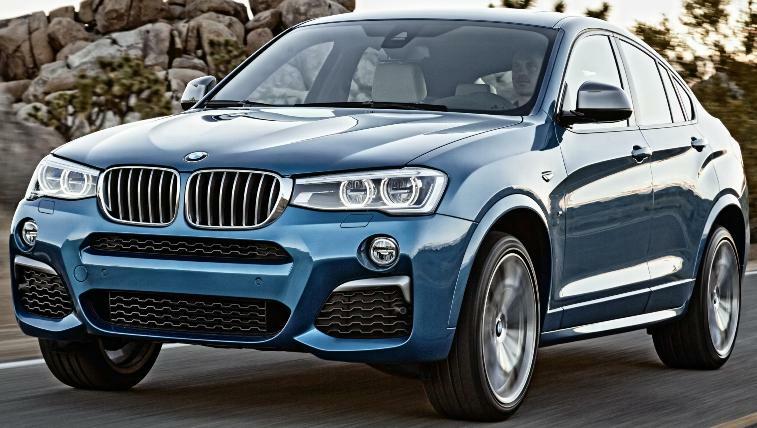 The new BMW X4 M40i has a newly developed M Performance 355 horsepower TwinPower Turbo inline 6 cylinder gasoline engine mated to an 8-speed STEPTRONIC sports transmission that takes the X4 from 0-60 mph in just 4.7 seconds, The BMW xDrive all-wheel drive system has been recalibrated with more power routed to the rear wheels during normal operation. Dynamic Damper Control, Variable Sport Steering, Performance Control, Park Distance Control front and rear, Xenon adaptive headlights and LED fog lights are all standard, as well as Sport seats, M leather steering wheel and 19-inch M light-alloy wheels. With an array of BMW ConnectedDrive options include a full-color head-up display, Active Driving Assistant + ACC Stop & Go including Lane Departure Warning, Forward Collision Warning, Pedestrian Warning and City Collision Mitigation. The 2016 Mitsubishi Lancer featuring a new design, new seat fabrics, a newly designed center console with built-in USB port, and two new colors with a starting MSRP of $17,595. Standard ES trim features include FUSE Hands-free Link System®, automatic air condition climate control, fog lights, alloy wheels and new LED daytime running lights. 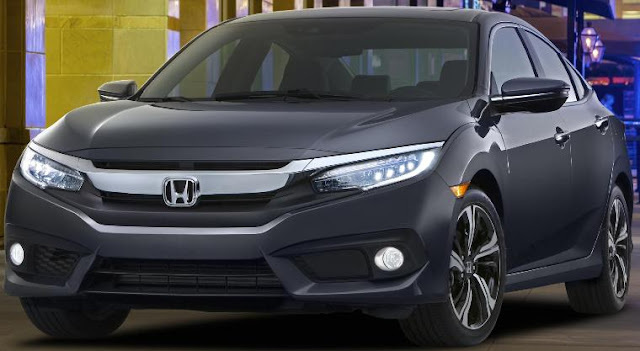 The SE trim level features all-wheel control, heated front seats, rearview camera and display audio with HD radio, while the new SEL trim level adds leather seats, rain sensing wipers with auto on/off headlights, auto-dimming mirror and more. The GT trim level (pictured above) has sport-tuned suspension, larger disc brakes, 18 inch two-tone alloy wheels, sunroof and rear spoiler, and is available as a 5-speed manual or with the new generation CVT8. Sportronic Steering wheel paddle shifters are available for the GT trim. 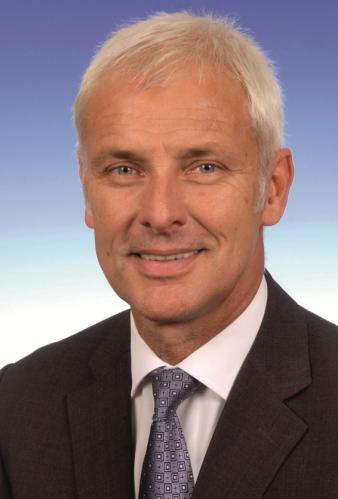 Matthias Müller, 62, a Board member of Volkswagen AG and Chairman of Porsche AG in Stuttgart, has been appointed CEO of Volkswagen AG effective immediately succeeding Prof. Dr. Martin Winterkorn who offered his resignation on Wednesday. Müller followed high school in Ingolstadt with an apprenticeship with AUDI AG and after obtaining his master's degree in computer science resumed his career with AUDI AG in 1978 and has a variety of positions with Volkswagen including Head of Product Management of the Volkswagen Group and the Volkswagen brand. 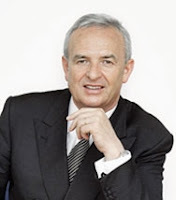 Müller said "My most urgent task is to win back trust for the Volkswagen Group – by leaving no stone unturned and with maximum transparency, as well as drawing the right conclusions from the current situation." The new 2016 Volkswagen Passat midsize sedan, unveiled in the midst of Volkswagen's diesel emissions scandal, is powered by 1.8-liter turbocharged and direct-injection TSI® four cylinder engine, with an EPA estimated highway fuel economy rating of 38 mpg with the automatic transmission, a 2.0-liter TDI® diesel or a 280 horsepower 3.6-liter VR6® engine. The 2016 Passat gets a new hood, front fenders, grille, front and rear bumpers, trunklid and available LED headlights and taillights. Full pricing for the new 2016 Passat will be available closer to launch later this year, but the 1.8T S model starts at $22,440, which is the same price as the previous base model when equipped with a six-speed automatic transmission. The 2016 Infiniti QX50 luxury crossover, redesigned on a 3.2 inch longer wheelbase stretching its overall length by 4.5 inches, is equipped with a standard 325-horsepower 3.7-liter V6 engine mated to a 7-speed automatic transmission and starts at $35,445 (including $995 destination and handling) for the rear-wheel drive and $36,845 for the all-wheel drive when it goes on sale in this month at Infiniti retailers nationwide. Optional equipment packages have been revised for 2016, with a new Premium Plus Package added to the previously available Premium, Deluxe Touring and Technology packages. 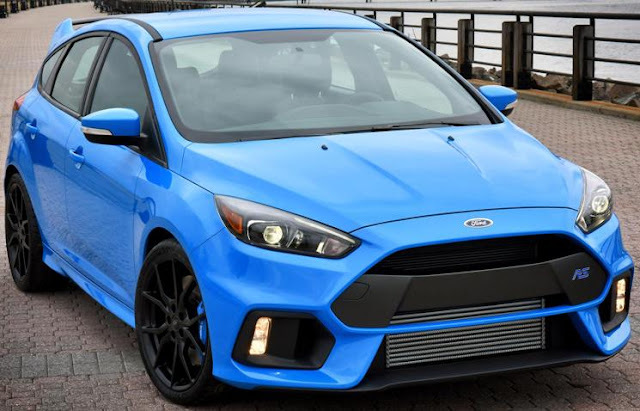 The all-new Ford Focus RS with a new 350 horsepower 2.3-liter EcoBoost® engine distributing torque through the all-wheel-drive system will sprint from 0-62 mph in 4.7 seconds and reach a top speed of 165 mph. Focus RS drivers can select from four different drive modes that configure the all-wheel-drive system, damper controls, electronic stability control, steering and engine responses, and exhaust sound to deliver optimum performance in road or circuit driving conditions. Normal, sport or track settings are available, along with a special drift mode to help the driver achieve controlled oversteer drifts at the track. For North America, Focus RS pricing will start at $36,605 in Spring 2016. Infiniti Q30 active compact offers a 208 horsepower 2.0-liter, four-cylinder gasoline engine mated to a seven-speed dual-clutch transmission in the U.S. for the Premium and Sport models. Infiniti's InTouch infotainment system, first introduced on the Q50, has been evolved and upgraded for the Q30, with a tablet-like experience from the driver's seat via a delivering touch-screen HMI (human machine interface). The Infiniti Q30 goes on sale in selected markets later in 2015. 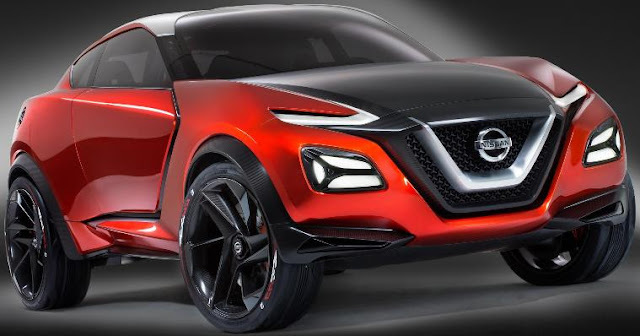 The Nissan Gripz Concept is equipped with an EV technology based Series hybrid system "Pure Drive e-Power" with a gasoline engine used to power the electric motor found in the Nissan LEAF. There is no B-pillar, allowing easy access to the 2+2 interior. The all-new Mazda KOERU (means “exceed” or “go beyond” in Japanese) crossover concept adopts the latest SKYACTIV technologies. The Audi e-tron quattro concept uses one electric motor to drive the front axle and two others act on the rear axle for a total output of 429 horsepower, sprints from a standstill to 62.1 mph in 4.6 seconds and reaches an electronically governed top speed of 130.5 mph. “Audi will present an all-electric, luxury-class sport SUV in early 2018. The Audi e-tron quattro concept provides a concrete foretaste of this,” says Prof. Dr. Ulrich Hackenberg, Member of the Audi Board of Management for Technical Development. The Mercedes-Benz "Concept IAA" (Intelligent Aerodynamic Automobile) four-door coupé which switches automatically from design mode to aerodynamic mode when the vehicle reaches a speed of 50 mph, is powered by a gas/electric plug-in hybrid drive with a total output of 279 horsepower with a top speed of 155 mph (electronically limited) and an all-electric range of 41 miles. 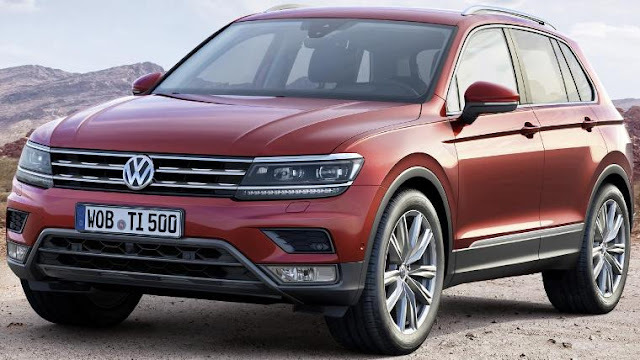 The new generation Volkswagen Tiguan, more than 110 pounds lighter, 2.4 inches longer and 1.2 inches wider compared to the previous model, has two different length wheelbases, with the "long" Tiguan to be introduced to specific markets starting in the Fall of 2016. There are a total of eight Euro-6 compliant engines, all of which have turbocharging, direct injection, a stop-start system and battery regeneration as standard. There are four TSI® gasoline engines with front-wheel drive and available all-wheel drive powertrains either as an option or as standard. Compared to the previous model with Euro-5 engines, the four-cylinder engines in the new Tiguan are up to 24 per cent more fuel-efficient. Compared to previous Tiguans with Euro-6 engines, there is up to 10 percent better fuel efficiency. 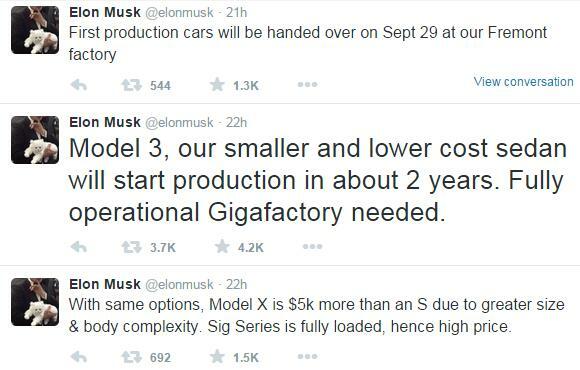 We'll know more about U.S.-configured vehicles closer to the sales date. The 2016 Camaro SS with an all-new, 455 horsepower 6.2L V-8 engine is 223 pounds lighter sprints from 0-60 mph in 4.0 seconds and covers the quarter-mile in 12.3 seconds, when equipped with the all-new eight-speed paddle-shift automatic transmission. The other Gen Six Camaro coupe models have either a 275 horsepower 2.0L Turbo with the six-speed manual transmission or a 335 horsepower 3.6L V-6 with the eight-speed automatic transmission. The 2016 Camaro goes on sale this Fall, with a suggested retail price of $26,695 for the Camaro LT and $37,295 for the SS. The all-new fourth-generation 2016 Toyota Prius is 2.4 inches longer, 0.6 inches wider and 0.8 inches lower than the model it replaces. The Prius will be among the first U.S. models to offer Toyota Safety Sense, a new multi-feature advanced safety package including Pre-Collision System with Pedestrian Detection, Lane Departure Alert with Steering Assist, Full-Speed Dynamic Radar Cruise Control and Automatic High Beams. Not much more info other than 350 journalists were wined and dined in Las Vegas. The Volkswagen Golf GTI Clubsport is a special edition with a 261 horsepwoer turbocharged, direct-injection engine mated to a 6-speed manual transmission or the optional 6-speed dual-clutch automatic transmission. The manual transmission car has fuel consumption of 33.8 mpg and with the DSG, fuel economy improves to 34.8 mpg. The Bentley Bentayga SUV with an all-new 600 horsepower 12-cylinder engine that uses both direct and indirect fuel injection delivering a 0-60 mph time of 4.0 seconds and a top speed of 187 mph will start being delivered in early 2016. Features include a full-length panoramic sunroof, up to eight modes of Drive Dynamics for any surface or road condition, Bentley Dynamic Ride (electrically activated 48V active roll control) and Electric Power-Assisted Steering, Adaptive Cruise Control including Stop & Go, predictive ACC and Traffic Assist that enables the driver to maintain a set distance to the vehicle in front. Traffic Sign Recognition detects a wide variety of traffic signs and displays information to the driver. Rear Crossing Traffic Warning uses radar technology to detect crossing traffic when reversing out of a parking space. Top View uses four cameras to display an overall picture of the vehicle’s surroundings. Park Assist detects suitable parking spaces (both parallel and perpendicular) before autonomous steering takes over to support parking manoeuvres, even in narrow and tricky spaces. Electronic Night Vision uses infra-red technology identifies potential obstacles ahead, and a Head-Up Display reduces driver distraction and increases safety. The new Rolls-Royce Dawn four-seater convertible is powered by a 563 horsepower twin-turbo 6.6-liter V12 powertrain and mated to an 8-speed ZF transmission. The fabric roof takes 22 seconds to move up or down at a cruising speed of up to 30 mph. The new Porsche 911 Carrera gets new turbocharged engines with a 20 horsepower increase with the 3.0 liter engine in the standard Carrera now 370 horsepower and the 911 Carrera S 420 horsepower and for the first time, rear-axle steering is available as an option for the Carrera S. Also new are headlights with four-point daytime running lights to integrated door handle recesses, a redesigned rear deck lid with vertical louvers, and new rear lights including four-point brake lights. The new Porsche 911 Carrera models will be launched in the United States in March of 2016 with an MSRP for the 911 Carrera at $89,400, Carrera S $102,400, Carrera Cabriolet $101,700 and the Carrera S Cabriolet $115,700. 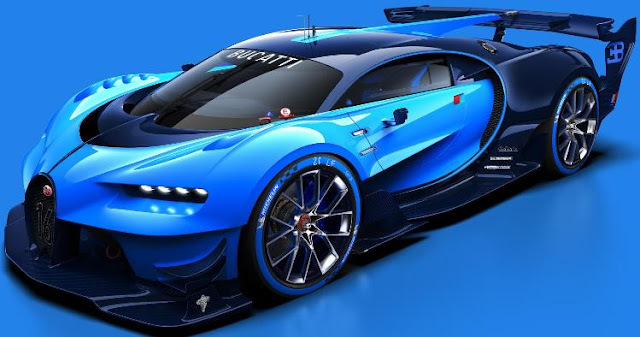 Bugatti Vision Gran Turismo concept developed with Polyphony Digital, creator of the Gran Turismo video game franchise, as a real show car for Bugatti fans, car enthusiasts and gamers will be on display at the Frankfurt Auto Show. Jaguar F-PACE Compact SUV Goes On Sale In The Spring In U.S. The all-new 2017 Jaguar F-PACE, a five seater luxury SUV, with a ground clearance of 8.4-inches and choice of a 3.0l 340 horsepower supercharged gasoline V6 engine priced from $42,390 or, exclusive to the F-PACE S model, a 380 horsepower supercharged gasoline V6 engine priced from $56,700. Both V6 engines are mated to an 8-speed transmission with power being routed to all four wheels via a torque-on-demand all-wheel drive system. Later in 2016, a 180 horsepower four cylinder Ingenium diesel engine will be added to the model lineup priced from $40,990. The all-new F-PACE range will consist of: F-PACE, F-PACE Premium, F-PACE Prestige, F-PACE R-Sport, F-PACE S and F-PACE First Edition (available in limited numbers, in the first year of production only). F-PACE offers 18-inch wheels to 22-inch wheels which were developed for the F-PACE by the Jaguar Land Rover Special Vehicle Operations division from forged aluminum to make them lighter and stiffer. The all-new 2017 Jaguar F-PACE goes on sale in the U.S. beginning Spring 2016. General Motors' Chevrolet, Buick, GMC and Cadillac brands sold 270,480 vehicles in the United States in August 2015, a drop of 0.7 percent from August 2014. Year-to-date sales of 2,048,537 is a 3.2 percent gain. Cadillac sales of 15,738 is a 5.5 percent decline while year-to-date sales of 100,094 is a 5 percent drop from a year ago. Ford Motor Company delivered its best August U.S. sales in nine years with sales of 234,237 vehicles, a 5.4 percent increase while year-to-date sales 1,750,589, a 2.7 percent gain. 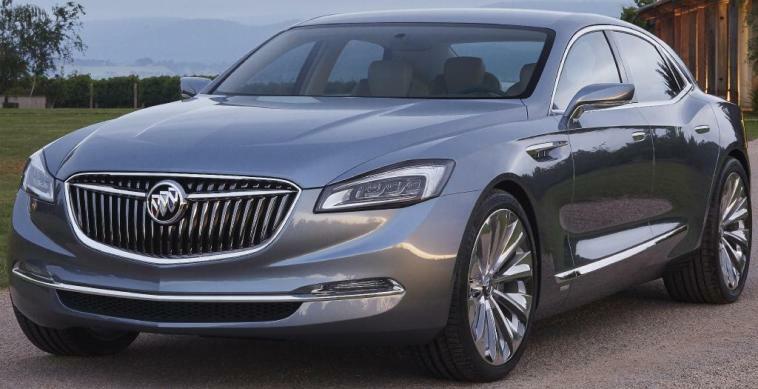 Lincoln sold 8,636 vehicle in August a 6 percent gain and for the year 65,284 is up 7.9 percent over 2014. Toyota Motor Sales, U.S.A. reported August 2015 sales of 224,381, a decrease of 8.8 percent from August 2014. Toyota Division posted August 2015 sales of 190,894, down 10.5 percent. Lexus reported August sales of 33,487, up 2.1 percent from August 2014 and year-to-date sales of 222,151 is 11.7 percent higher than last year. FCA US (Chrysler, Jeep, Dodge, Ram, Fiat, Alfa Romeo) reported U.S. sales of 201,672, a 2 percent increase compared with sales in August 2014 for the best August sales since 2002. 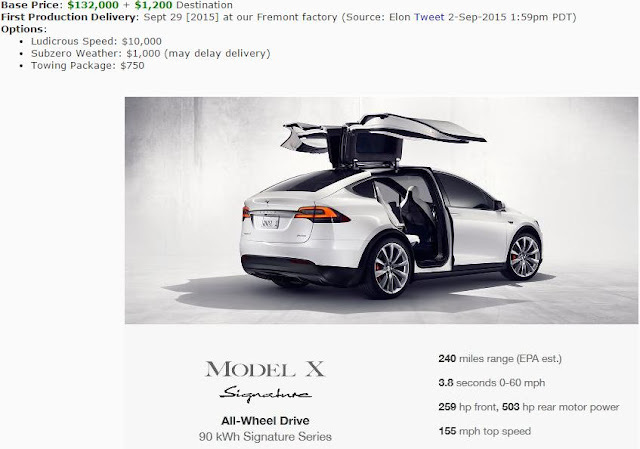 Year-to-date sales of 1,461,842, up 5 percent from last year. American Honda reported August 2015 sales of 155,491 Honda and Acura vehicles, a decrease of 6.9 percent over August 2014, when the industry had one additional selling day and an early Labor Day weekend. The Honda Division sold a total of 140,178, a 7.5 percent drop from last August while Acura reported 15,313 vehicles sold in August, a 1.1 percent decline. Year-to-date American Honda sales of 1,054,816 is a 1.2 percent rise over 2014. Nissan Group announced total U.S. sales for August 2015 of 133,351, a decrease of 1 percent over the prior year. Year-to-date Nissan Group sales of 1,000,706 is a 4.2 percent gain over last year. Nissan division sales of 122,716 is a 2 percent drop from a year ago and year-to-date sales of 915,358 is a 3.6 percent gain over 2014. 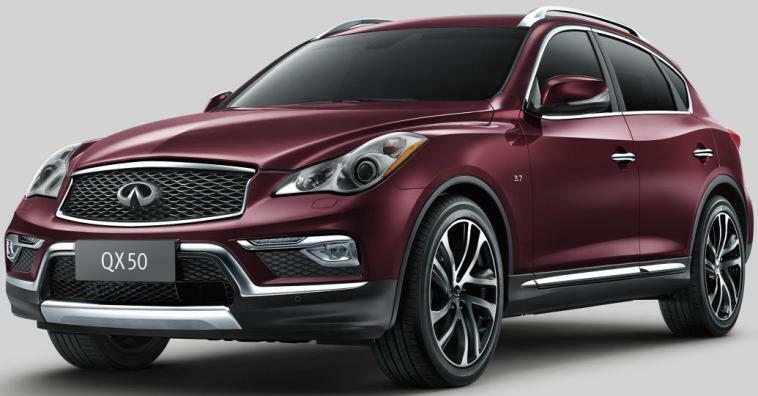 Infinti August sales of 10,635 is a 16.1 percent jump over August 2014 and year-to-date Infiniti sales of 85,348 is 10.8 percent higher versus eight months of 2014. 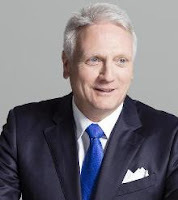 Hyundai Motor America posted its best August ever, with 72,012 vehicles sold, up 2.9 percent compared to August 2014. Year-to-date sales of 514,175 is 2.5 percent higher than 2014 through August. Kia Motors America reported best-ever August sales of 58,897 vehicles, a 7.7-percent increase over the same period last year and the brand’s fourth straight monthly sales record. Year-to-date Kia sales are 426,160, up 5.4 percent. Subaru of America reported 52,679 vehicle sales for August 2015, a 4.9 percent increase over August 2014, the best-ever sales month in company history, breaking the previous record set in July 2015. Subaru also reported year-to-date sales of 375,632 vehicles, a 12.5 percent gain over the same period in 2014. Volkswagen of America reported sales of 32,332 in August 2015, 8.1 percent lower than a year ago while year-to-date sales of 238,074 is a 2.8 percent drop from 2014. Separately, Audi achieved its best-ever August sales in the U.S. with 17,101 vehicles sold. Through the first eight months of 2015, Audi U.S. sales are 116,066 vehicles, up 12.1 percent from last year. BMW Group in the U.S. (BMW and MINI combined) reported August sales of 32,864 vehicles, an increase of 2.0 percent from the 32,219 vehicles sold in the same month a year ago. Year-to-date, BMW Group sales are 263,908 vehicles, a 7.3 percent increase from the same period last year. Sales of BMW brand vehicles increased 2.0 percent in August for a total of 27,755, a new August record, compared to August, 2014. Year-to-date, BMW brand sales are 223,348 vehicles, a 5.9 percent increase from the same period last year. Mercedes-Benz USA reported all-time record August sales of 31,250, an increase of 3.2 percent from the same month last year. The Mercedes-Benz brand tallied 28,373, a 4.8 percent increase over August 2014. Sprinter delivered 2,260 sales for the month of August, up 15.3 percent for the year, while smart recorded sales of 617 in August. On a year-to-date basis, Mercedes-Benz retails totaled 220,870, up 7.3 percent. Adding year-to-date sales of 17,957 for Sprinter Vans and 4,682 for smart, MBUSA posted grand total sales of 243,509 through August. Mazda North American Operations reported August U.S. sales of 29,938 vehicles, representing a decrease of 4.4 percent versus last year. Year-to-date, Mazda has sold 216,091 vehicles, down 0.4 percent. Mitsubishi Motors North America reported August 2015 sales of 8,289, an increase of 22.1 percent from August 2014 for the brand's 18th consecutive month of year-over-year sales increases. Year-to-date sales of 65,701 are up 24.4 percent over the same period in 2014. Jaguar Land Rover North America reported August 2015 U.S. sales for both brands of 6,368, a 12 percent increase from August 2014. Land Rover sales reached 5,225, up 16 percent and Jaguar sales were 1,143, down 3 percent from August 2014. Year-to-date 2015, Jaguar Land Rover U.S. sales hit 52,769, an increase of 15 percent over 2014. Volvo U.S. sales of 5,870 represents a 18.3 per cent increase versus the same month last year. Year-to-date sales of 40,854 is a 4.2 percent gain over last year.